Could the reason why these local companies do not sponsor local athletes be perhaps the fact that these companies do not see any benefit they will get by sponsoring the athletes? Could it be that the athletes do not go to them to look for sponsorship deals? Could it be the marketers in these companies only know about the top Kenyan athletes like David Rudisha, Mary Keitany, Ezekiel Kemboi and Vivian Cheruiyot and are afraid that they will have to pay them a lot of money if they need to sponsor them? Well, I believe that if a local company would recruit young and talented runners and sponsor them and in the end any of the athletes turn out to become an Olympic champion that will be a great way of giving back to the community. My message to local companies in Kenya is that becoming proud of Kenyan athletes is the first step. The next step they need to take now is to know that they need help while developing their talents and the third step is sponsoring them. Athletes go through a lot of struggles before they can make it in their careers and this should be the right time when they need help from the local companies and even the county governments. Not when they have already fulfilled their dreams. 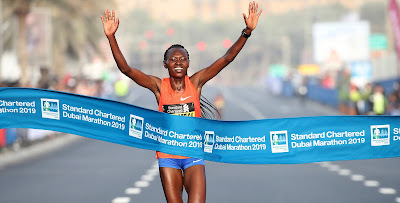 It is quite interesting to note that track and road running athletes only get sponsored once they have already proven that they can make it to the top without the need of a sponsor! Usually, after winning a number of competitions and building a good profile with their running, which is not easy in the first place when you do not have the training facilities and money to keep you in a training camp, is when the “sponsorship” come in. It is not that Kenyan companies, and local governments, are not proud of the Kenyan athletes. They have their slogans associated with the athletes; Nutrition for champions, City of Champions, Source of champions, Home of champions, among others. It would only be prober if such companies would actually have one or two athletes participating in the races with jerseys showing that the companies work with them, and that when Kenyan athletes would be talking about their journey to success in global competitions would mention one or two local companies in Kenya that held their hand when they were beginning their careers.